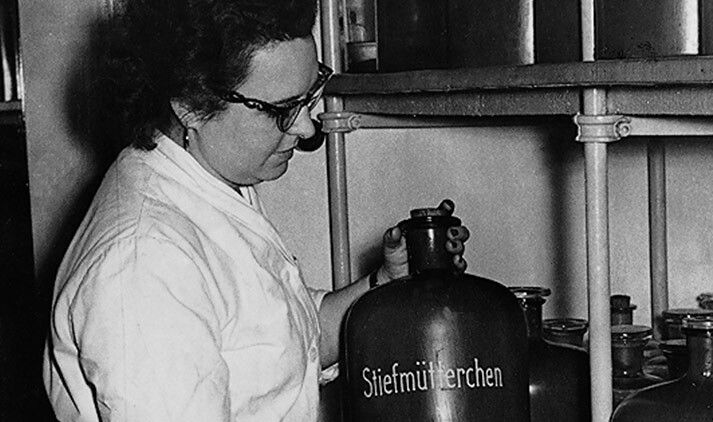 Annemarie Lindner, as a beauty therapist, used natural ingredients successfully for her own skin problems as early as the fifties. 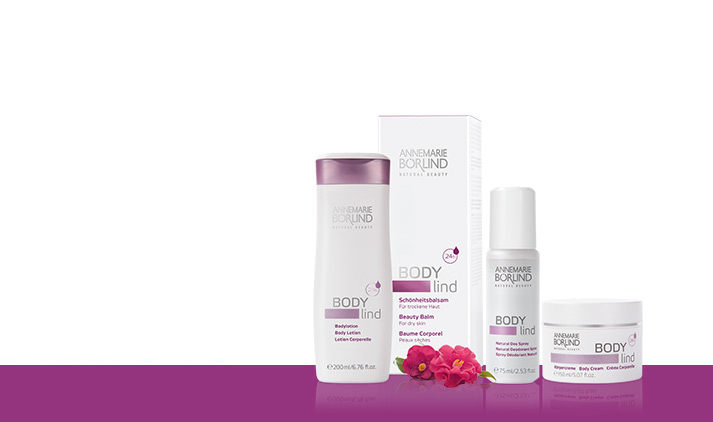 Much has happened since then – but one thing has never changed: the innovational strength of the brand ANNEMARIE BÖRLIND – Natural Beauty. Her own skin problems lead Annemarie Lindner to choose a career in the beauty industry after the war. She makes natural cosmetics and sells them later as well. 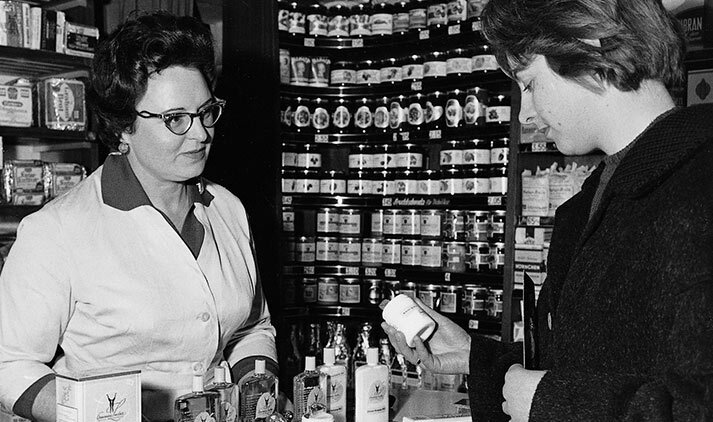 January 1st 1959, Annemarie Linder found the Börlind company and its natural skincare brand ANNEMARIE BÖRLIND with her business partner Hermann Börner. The company name derives from their last names: Börner and Lindner. 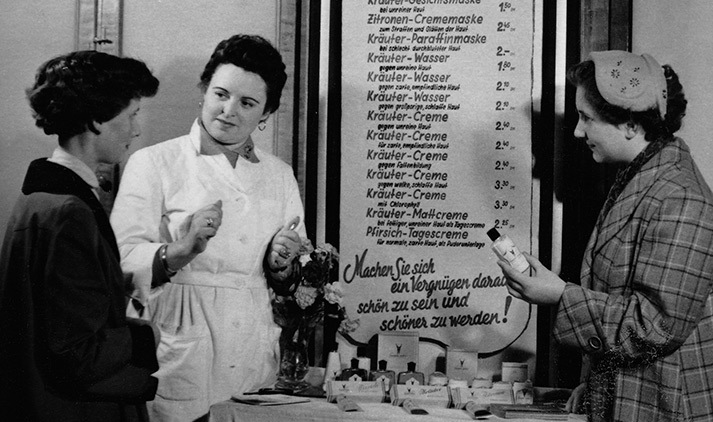 The trained beautician had already produced and sold her own products in the former GDR before she laid the cornerstone for her enterprise in the Black Forest. 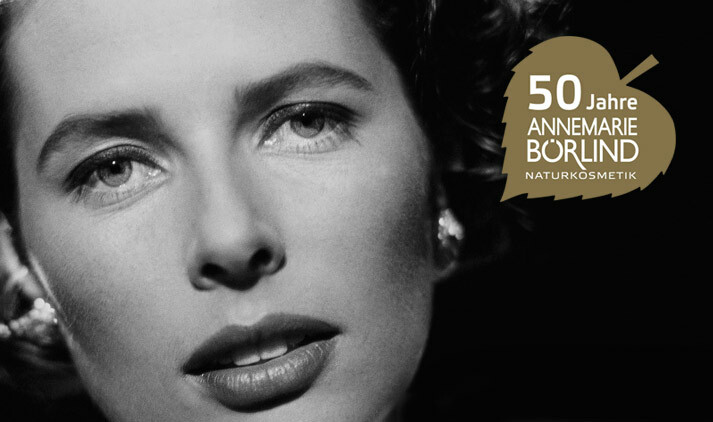 In 1965 the idea of being the first cosmetics company to offer a full, integrated product line proves to be successful as Börlind receives the coveted neuform seal. 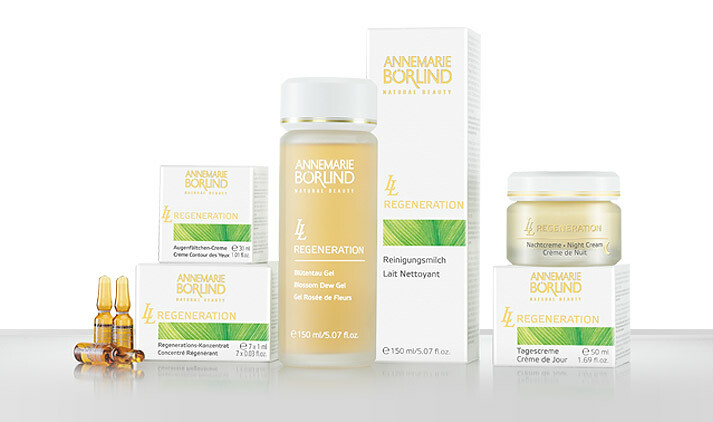 Simultaneously, the linden tree leaf becomes the protected trademark for ANNEMARIE BÖRLIND Natural Skin Care. Börlind is developed so well that the company premises quickly become too small: The cornerstone for the new building on Lindenstrasse in Calw was laid in 1972, where it still stands today. That same year the company’s own deep water well is constructed – and still remains the only source of water used in production. 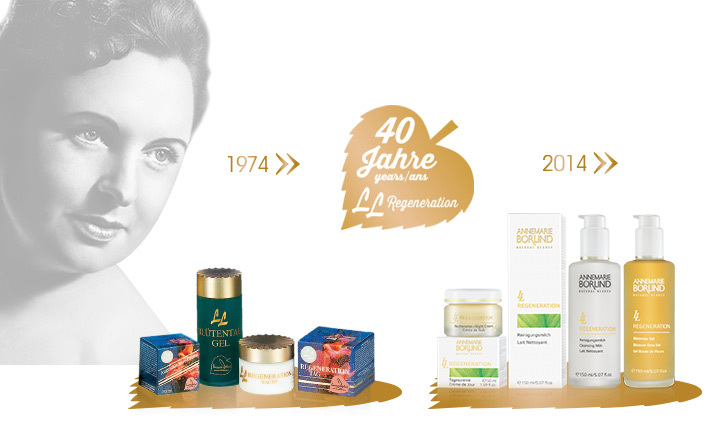 In 1974, LL Regeneration, a high-quality care series for skin over the age of 30, is introduced to the market. 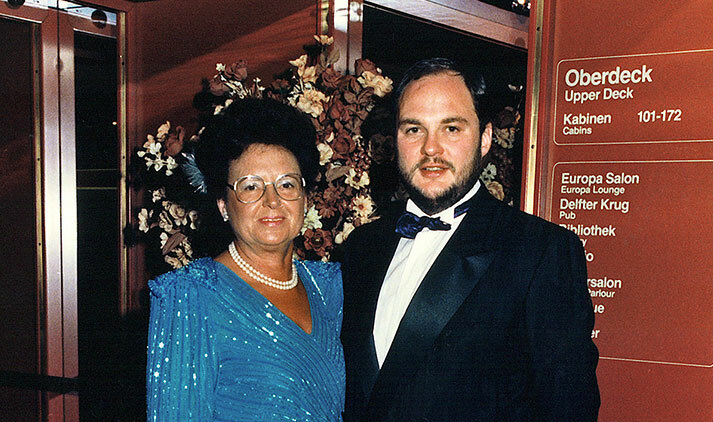 In February 1978, Michael Lindner starts working as a leader of the family company. In 1983, the company decides that an expansion is necessary as the space is no longer big enough to accommodate the development and requirements of the dynamic company. The concept of constructing a building, that follows the latest green construction guidelines, is quickly brought to reality. The light-flooded rooms and open architecture make the building feel natural and transparent. 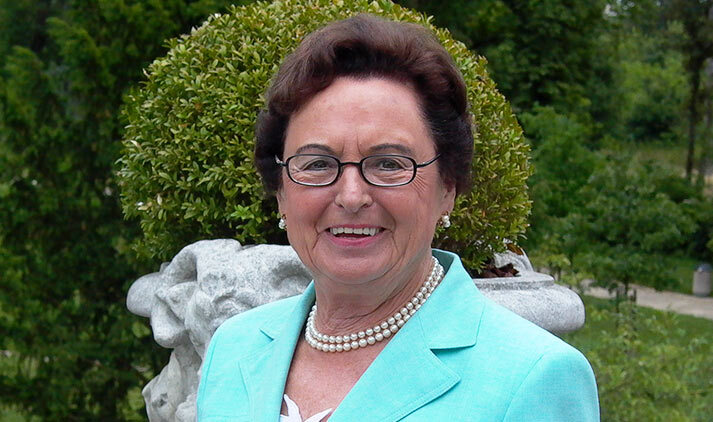 At the end of 1985, Annemarie Lindner officially retires from her company, but remains active for a long time as an essential consultant – particularly in product development. Annemarie Lindner establishes DADO-cosmed GmbH with the intention of providing the most natural care possible to people with skin problems. 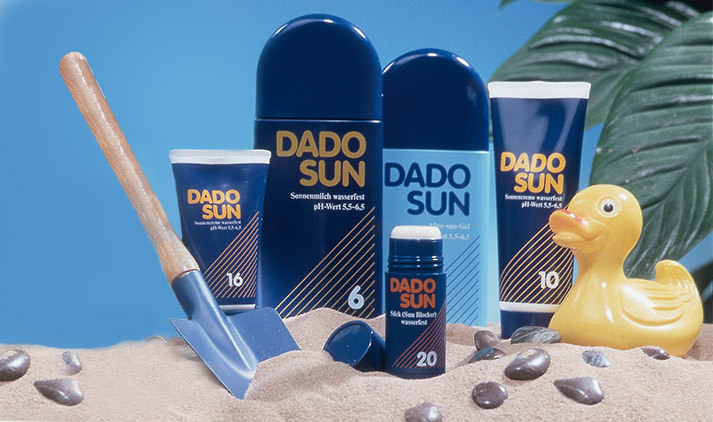 Today, the dermatological cosmetic series, DADO SENS DERMACOSMETICS brand, encompasses care products for people with atopic dermatitis, acne, rosacea, allergies and very sensitive skin. On June 14, 1987, Annemarie Lindner receives the Golden Badge of Merit from the “neuform Vereinigung deutscher Reformhäuser“ (neuform Association of German Reformhaus health stores). She is honored with this award as recognition for her work in the industry. 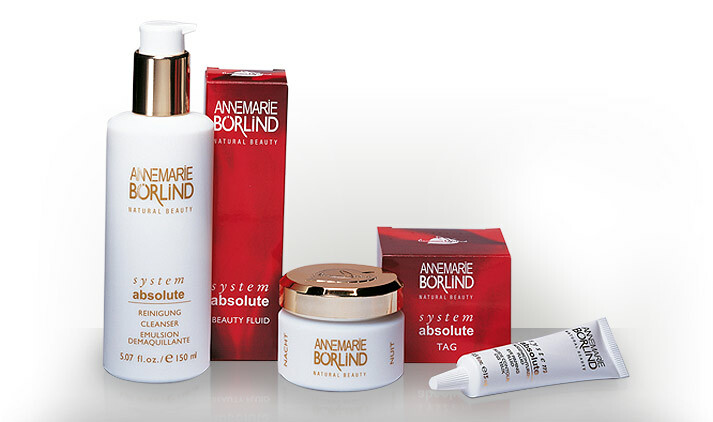 In 1991, ANNEMARIE BÖRLIND introduces a new premium line for particularly demanding skin to the market: system absolute. 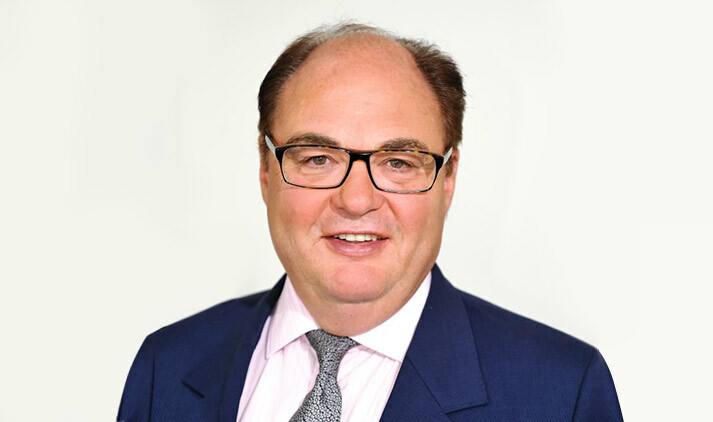 Michael Lindner has been the sole General Manager since 1996. In 1998, the state of Baden-Würtemberg awards Lindner with the medal for economics because of his contributions to the state’s economy. 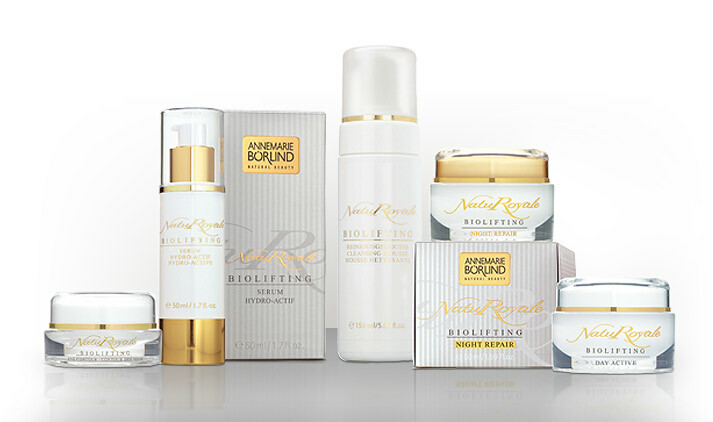 In 2001, the development team’s innovative capacity is proven by the NatuRoyale Biolifting products. Annemarie Lindner’s life’s work is enthusiastically received by the cosmetics world. 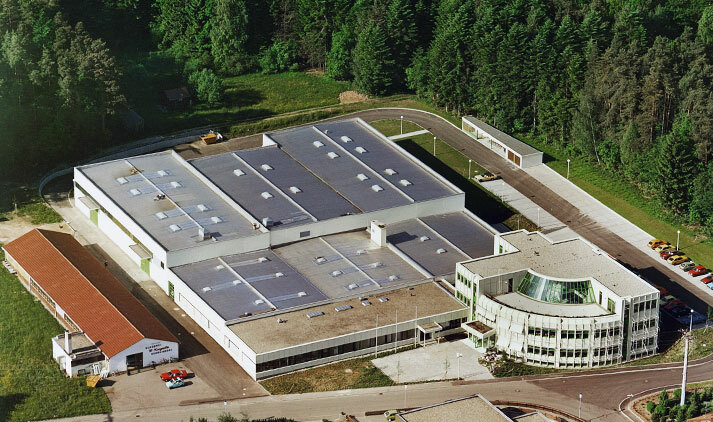 TAUTROPFEN Naturkosmetik GmbH, which was founded in the 1980s, is now part of Börlind. 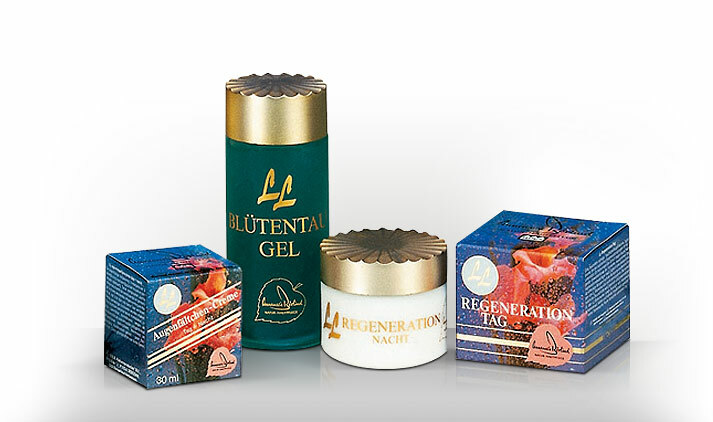 The brand has stayed true to its roots and is presented as 100% pure and sensuous natural cosmetics with the name TAUTROPFEN-a drop of paradise. Youthful Appearance – Let Me Have Some! 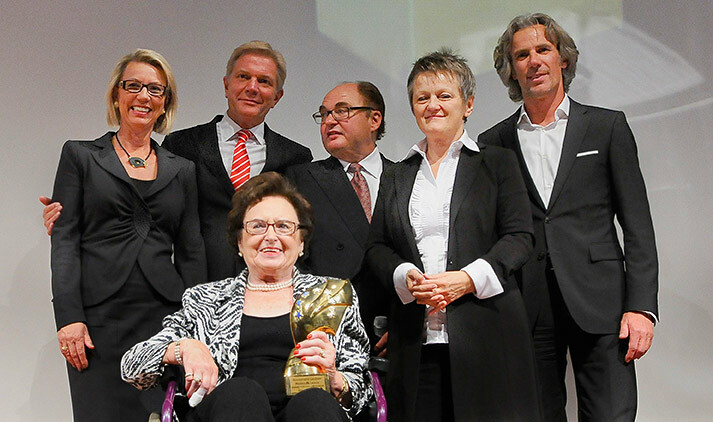 On September 20th 2005, two days before her 85th birthday, Annemarie Lindner is awarded the “Natural Legacy Award” in New York. 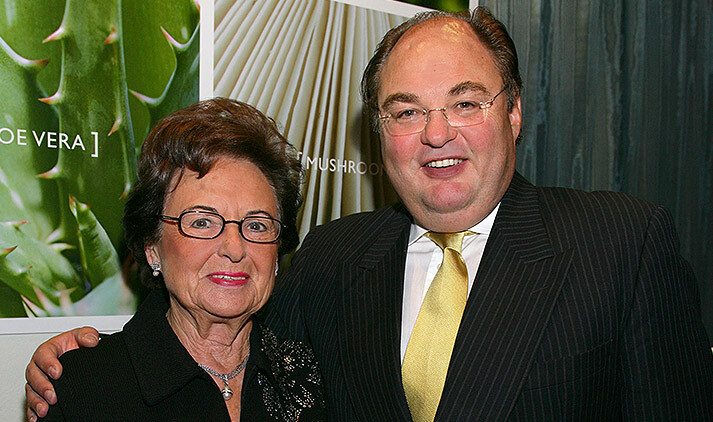 Her life’s work is honored with this “Oscar” of the American natural products industry. Not only does this represent the history of an excellent brand of cosmetics, it also portrays the story of a successful family business that started in difficult times and evolved into an enterprise with a strong focus on the future. 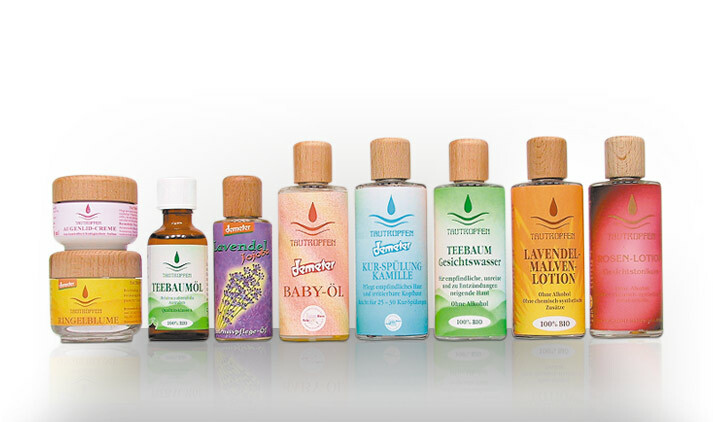 The family company is consistently rated among the leading producers of natural cosmetics worldwide. Prominent users of the products include big Hollywood stars, such as, Kate Winslet, Nicole Kidman and Renee Zellweger or German politician Renate Künast. Chancellor Dr. Angela Merkel warmly congratulates Börlind on their Anniversary. ANNEMARIE BÖRLIND make-up is applied to the Miss Germany finalists in Rust. Daniela Lindner is a member of the jury and is pleased by the victory of her preferred candidate, Doris Schmidt. ANNEMARIE BÖRLIND applies make-up to the guests at the German Perfume Award 2009 in their own Beauty Lounge. FRANCEK, the renowned stylist and make-up artist, creates the Miss Germany Look 2009 together with ANNEMARIE BÖRLIND. Annemarie Lindner receives this award from the perfume industry in recognition of her life’s work and for her contributions to the cosmetics industry. 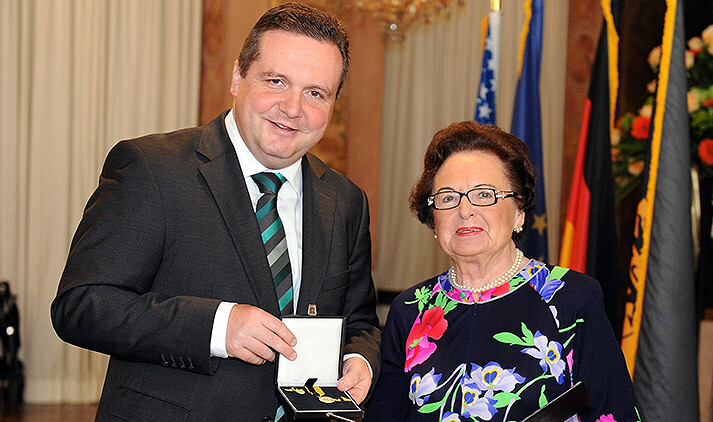 The universally respected natural cosmetics pioneer and grey eminence is honored for her company’s success and its sustained commitment to social causes around the world by Baden-Württemberg’s Governor Stefan Mappus at the famous Ludwigsburg castle on May 8th 2010. Annemarie Lindner celebrates her 90th birthday. Today she still is an active participant in the family enterprise and surprises everyone over and over again with her glowing appearance. The new care range from ANNEMARIE BÖRLIND for demanding, dehydrated skin: only well-moisturized skin is able to protect itself against wrinkles, and maintain its tone for a longer time. 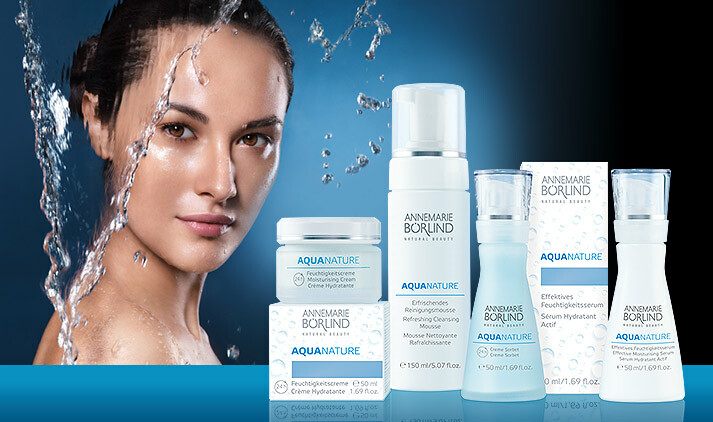 AQUANATURE – the perfect care for skin from the age of 30 that requires extra moisture. Under the motto “performance – commitment – recognition”, this prize pays tribute to the voluntary social commitment of companies in the federal state of Baden-Württemberg in Germany. 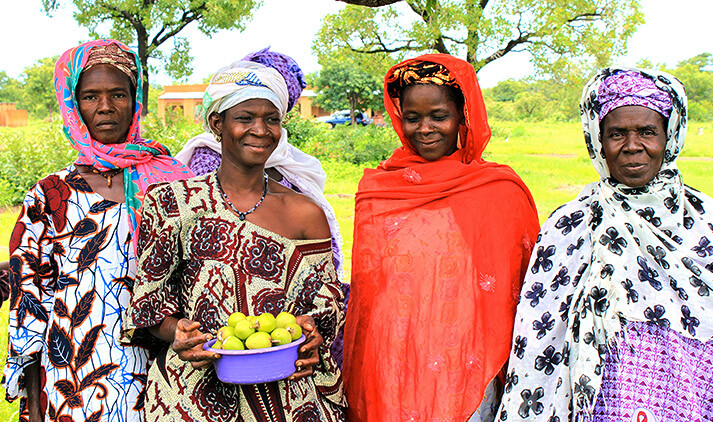 We were distinguished for our commitment in Mali. 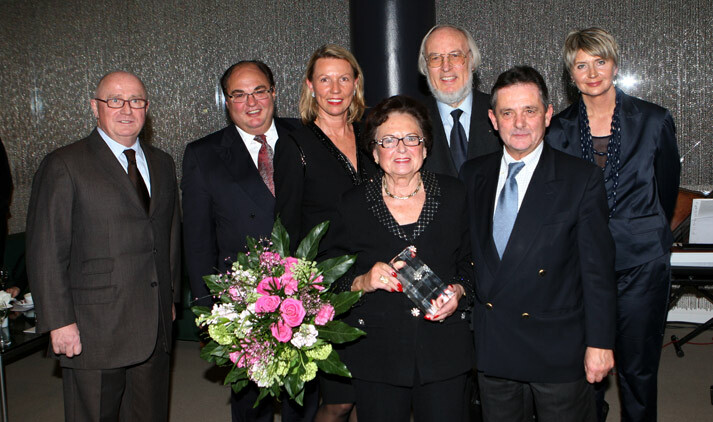 At the 5th Baden-Baden Business Night, Annemarie Lindner is presented with an award for lifetime achievement. 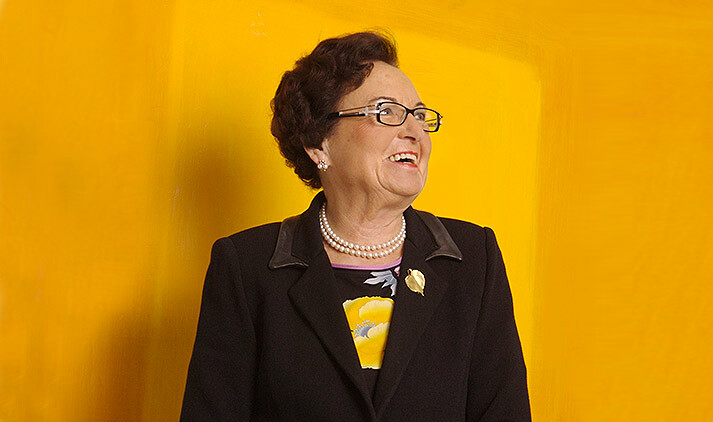 In her laudation, Renate Künast emphasizes that Annemarie Lindner is “not only a role model as an entrepreneur, but also for the younger generation”. 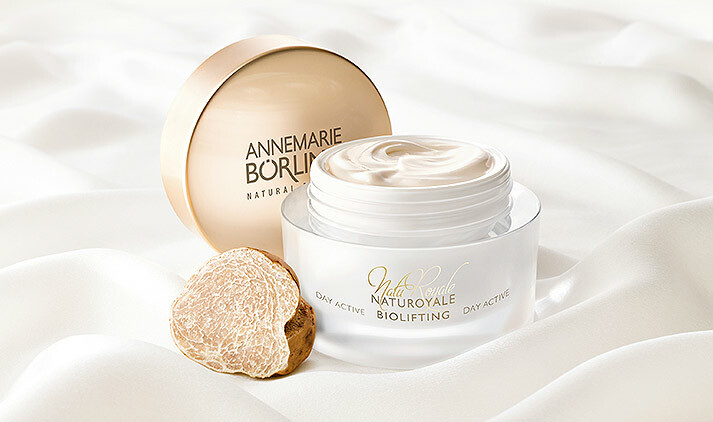 NatuRoyale Biolifting – with the natural Biolifting complex and the power of white truffle. A revolutionary care range that activates the natural regeneration processes of the skin, stimulates the cell metabolism and increases the skin’s moisture levels. For an incredible lifting effect that firms and smoothens quickly and in a completely natural way, so that you can maintain the youthfully fresh radiance of your skin. In our BODY lind cleansing and care products, a new formula, containing carefully coordinated ingredients such as fig extract and camellia oil, supports the skin’s natural moisture-regulation mechanisms, supplies it with sufficient moisture, and protects it against drying out. 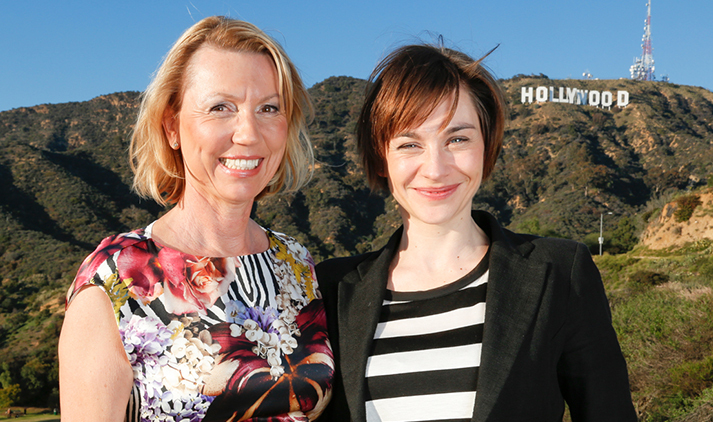 In the ANNEMARIE BÖRLIND Beauty Lounge at the German Films reception in Los Angeles, our team and our brand ambassador, Christiane Paul, meets many stars for whom we conjured up glamorous makeup for the occasion. The new hair-care products in the SEIDE NATURAL HAIR CARE range pamper the hair with everything nature has to offer it. 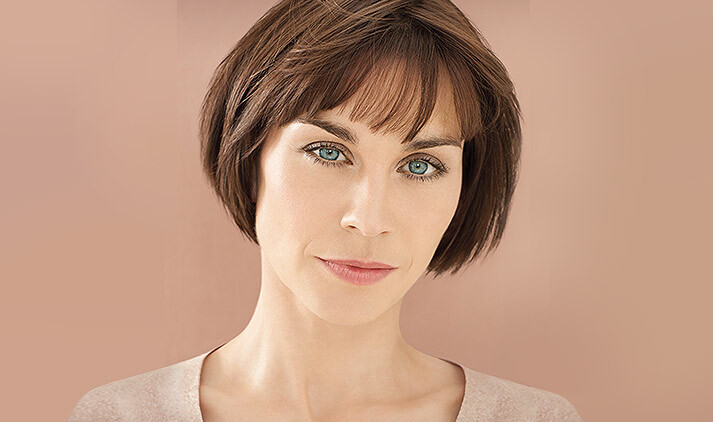 The Natural Care Complex in the shampoos (except active shampoo) improves hair structure and shine. 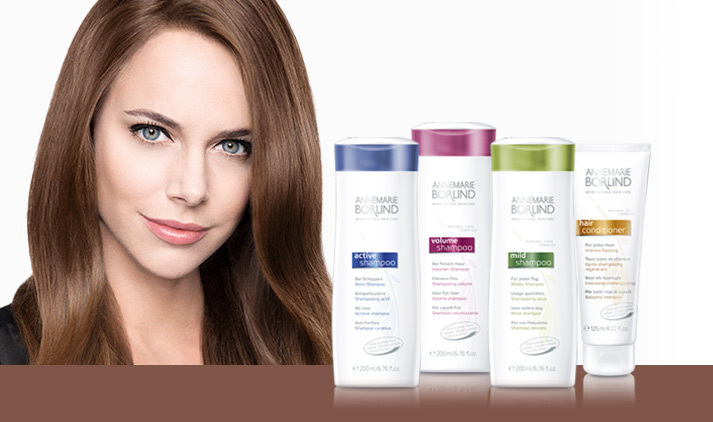 The Natural Oil Complex in the extra-care products makes the hair softer and easier to comb. The newest generation of natural hair care from ANNEMARIE BÖRLIND does not contain any sulfates, silicones or PEG whatsoever. After intensive research and development, we brought our system absolute range for anti-aging care of demanding skin on to the market with even better formulas and some new products. 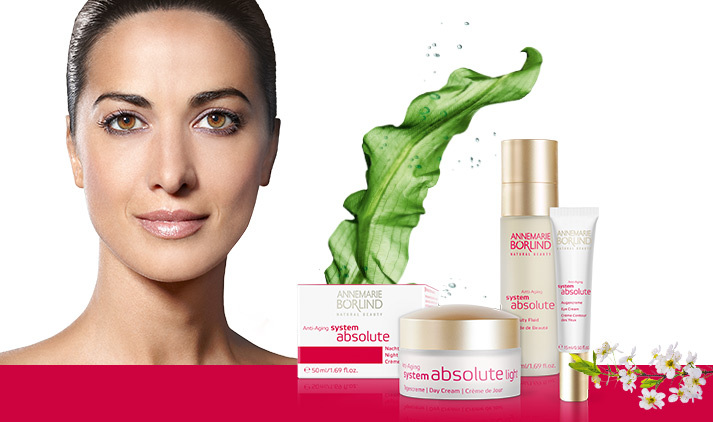 The main constituent of all the system absolute products is an extract from a marine alga, embedded in a 3D matrix, that releases its ingredients to the skin over many hours. Classic system absolute Day Cream and Night Cream were supplemented by new lighter-textured Day Cream light and Night Cream light. 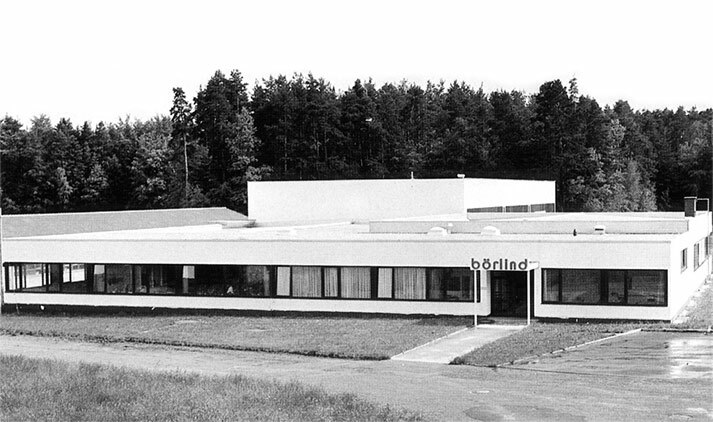 In 1974, the systematic care range LL REGENERATION was developed in Börlind GmbH’s own laboratory. Since then, the formula of the LL range has been improved four times in all, accompanied each time by new-look packaging. What makes the products exceptional is the so-called LL-Biokomplex. Of course, the exact composition is a well-kept secret within the walls of Börlind, but LL-Biokomplex represents a combination of highly effective ingredients including various vitamins and bisabolol. 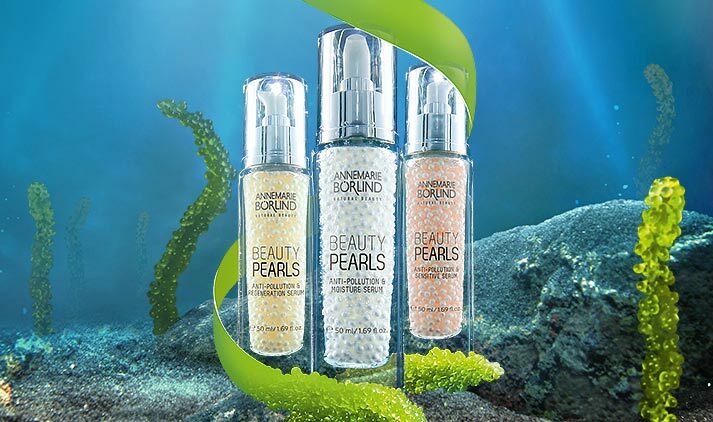 In June, ANNEMARIE BÖRLIND launches a world first in natural cosmetics on to the market: Beauty Pearls Anti-Pollution with botanical caviar. Embedded in a gel, the valuable active substances in the botanical caviar melt into a highly effective serum and form a natural protective shield on the skin against negative environmental influences and free radicals.